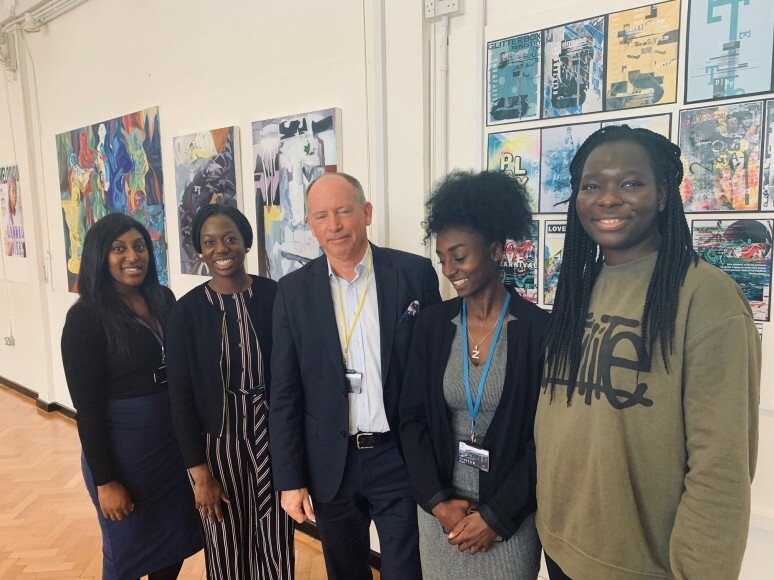 Christ the King Emmanuel was delighted to recently host a talk by Sir Ian Cheshire who is the Chairman of Barclays UK. 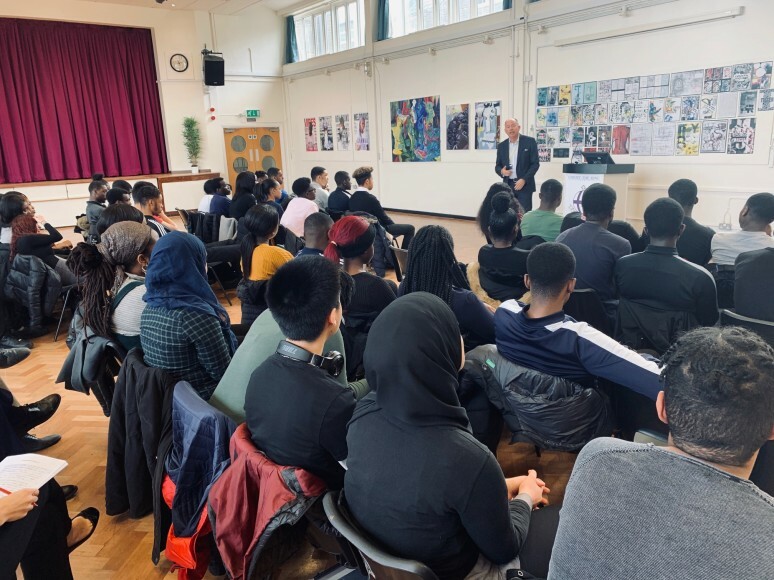 Ian talked to almost one hundred of our students about growing up in Nigeria and the academic challenges he faced when studying before achieving a degree in Law from Christ's College, Cambridge. Ian spoke to students about his current role as Chairman of Barclays UK as well as his previous roles at Kingfisher and Debenhams. 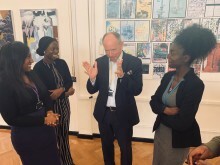 He also spoke about the various charitable roles he has including Campaign Chairman of Heads Together which is the mental health initiative spearheaded by The Royal Foundation of The Duke and Duchess of Cambridge and The Duke and Duchess of Sussex. 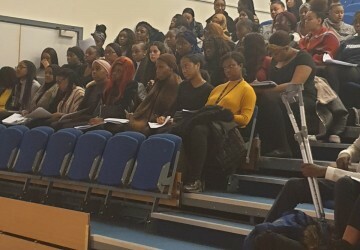 The key message he had for students was that there are lots of opportunities out there if they are willing to grasp them and he suggested that there are fantastic opportunities on the fraud prevention and innovations sides of the financial industry.